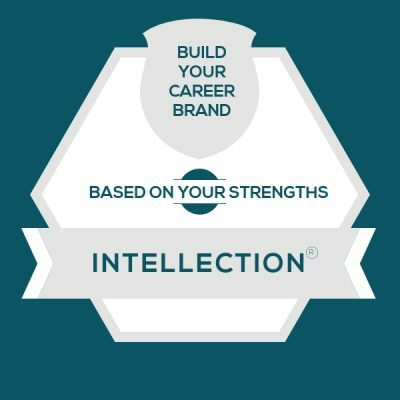 You send in quite a few deep questions about how to amplify your CliftonStrengths talent theme of Intellection with your career. These are the cultures, interactions, or situations that feel like soul-sucking drudgery to someone with the talent theme of Intellection. They might even make you want to quit the team. So I’ll give you a couple of these to be on watch for — because if they fester, you might get the urge to quit the job or become detached and disengaged at work. Pressure to give answers in the moment. If you lead through Intellection, it will likely be annoying to go to a meeting where someone asks you to make an important decision or give your opinion on something they’ve sprung on you in the moment. You do your best thinking when you have time to marinate on it, so be sure to find a way to communicate to your team that you’ll be at your best when you have time to think about something in advance. This means, watch out for those blank calendar invitations that don’t tell you anything about the meeting at hand. Get the agenda in advance. Know what contribution someone is hoping for. Otherwise, they might pressure you to “talk it out” in the moment, which will likely drain you and frustrate you. Groupthink. If you lead through Intellection and you’re on a team where people blindly nod along with each other, you’ll probably feel frustrated with the lack of critical thinking. If you’re in this situation and you’re thinking that your team is a bunch of sheep or “Yes Men” or lemmings, imagine how difficult it would be for you to have a deep, trusting relationship with peers. The same goes for teams who seem to skim the surface and then act – while never doing the deep thinking on a topic. Watch out for these situations because they’ll be big energy-zappers for you. These are ways to apply the talent theme of Intellection at work, even when the job duties on the team feel pretty locked in. If you’re exploring this concept as a team manager, be sure to have a conversation around these ideas. You’ll both be able to come up with places to apply them. Help me poke holes in my idea. Many roles today are filled with distractions, quick meetings, and instant messenger. This can be efficient, yet it can also keep teams from the deep contemplation needed for important decisions. If someone on your team has Intellection, ask them, “what am I missing here” or “what else should I be thinking of” or “can you poke holes in my idea?” They will appreciate the idea to think beyond the surface. Contrarians wanted. Just because someone on your team has Intellection, it doesn’t mean that they’ll disagree with everything. At the same time, using their critical thinking will unleash their best. Their deep reflection and reasoning skills are valuable to help teams see past the surface. They can see downstream impact that others can’t see. They can see the unexpected consequences that others can’t spot. A task of solitude. Next time you have a role where someone needs to work from home, or do a seemingly lonely job of traveling and being alone in hotel rooms (or holed up in a remote cabin), see what someone on your team with Intellection thinks. They will often love doing tasks that require solitude because they do their best thinking when they can contemplate alone. This doesn’t mean that they don’t like people. Yet often, they will be private people who need time alone to be at their best.